Join others in the path of healing every Tuesday at 8:00 pm for the Loveland Gratitude Group (AA) . 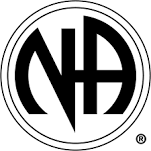 To learn more about the ministry of AA click on the link below. NA or “A New Way to Live” meets every Thursday at 7:00 pm. All are welcome. Do You Need Listening Support? If you’re looking for another Christian to listen to you and walk with you, Stephen Ministry may be the answer. Stephen Ministry is an international and interdenominational one-on-one, distinctively Christian ministry of listening, caring, comforting, prayer, and support offered with total confidentiality by trained lay care-givers called Stephen Ministers. Contact one of the pastors or one of the leaders below to be connected with a Stephen Minister.